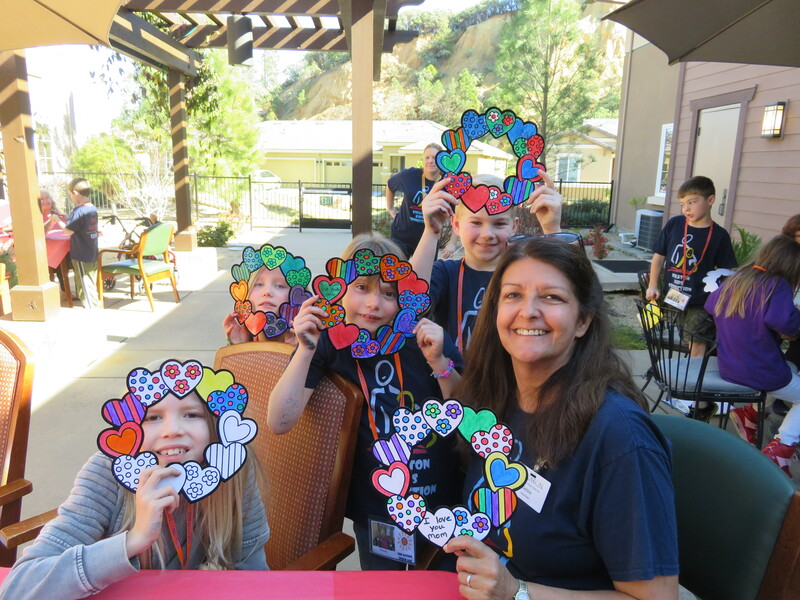 While National Volunteer Week is April 7 to 13, 2019, we celebrate our volunteers year round and recognize them during a special gala every June in Carmichael, California. 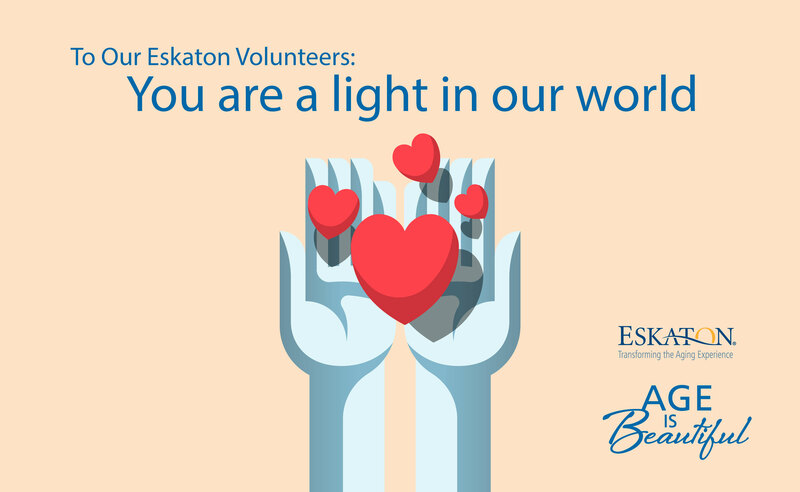 Eskaton volunteers are valued beyond measure. The following poem is a tribute to their generous and giving spirits. For more information, contact Darlene Cullivan at 916-334-0810 or visit www.eskaton.org/volunteer. At Eskaton Village Placerville, we sincerely appreciation all of our volunteers. Debbie Rood is one of our special volunteers who demonstrates compassion, love and kindness as she spends time with our residents and helps with special event such as Kids Connection, 100th birthday celebrations, Family Day, luaus and many other activities and events. We are truly blessed to have Debbie (pictured below). Patricia Pile (left) dedicates her time and energy to Eskaton’s Telephone Reassurance program. Patricia began volunteering for Eskaton in 1984, and for the past 35 years she has been a comforting voice and presence to countless homebound seniors, offering friendship, caring, and sage words of wisdom for those in need. She is the mother of nine, and over the years, she has set a wonderful example for her children about the need to appreciate and care for the elders in our community. Patricia’s dedication and willingness to serve others is an inspiration for all and embraces the true spirit of volunteerism. The gift of her time and energy is priceless. 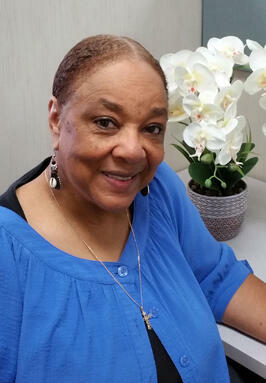 To apply as a volunteer with Telephone Reassurance, contact Linda Whiteside at 916-334-0810.